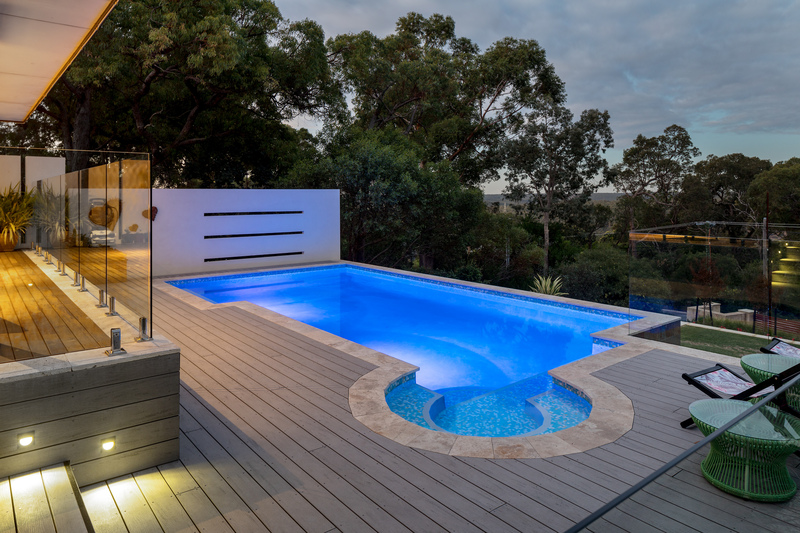 The Kardinya integrates a luxurious cantilevered cabana with water fall features, complementing the concrete pool spa combination. 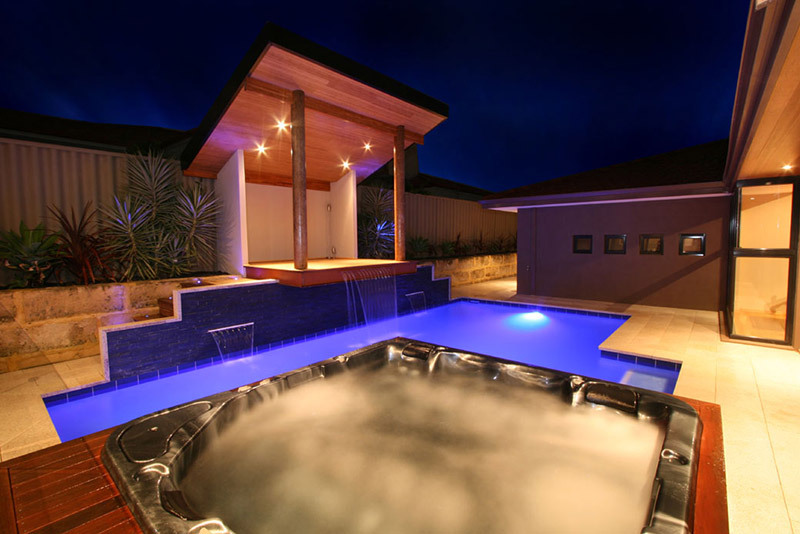 LED lighting is used to great effect and the clever use of textures and stone work compliment this project. 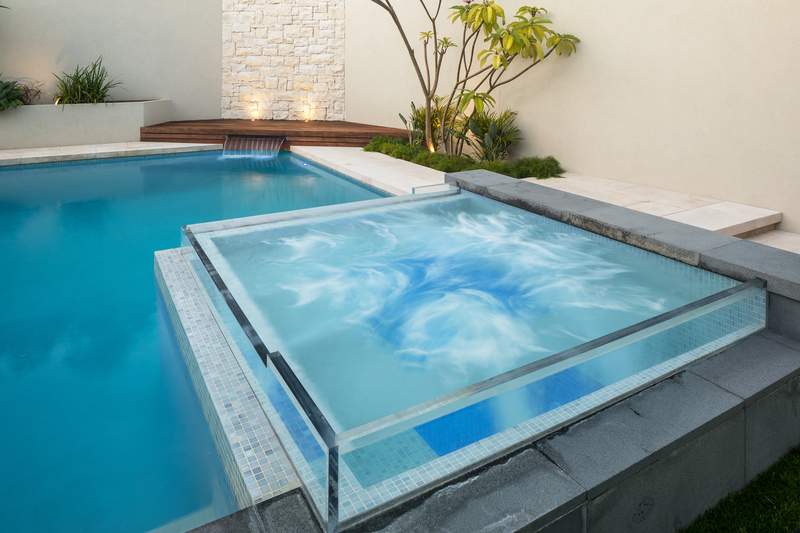 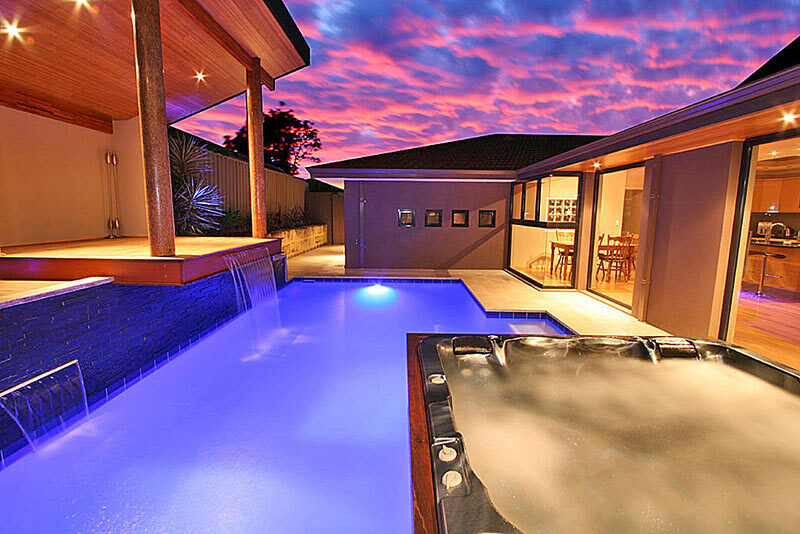 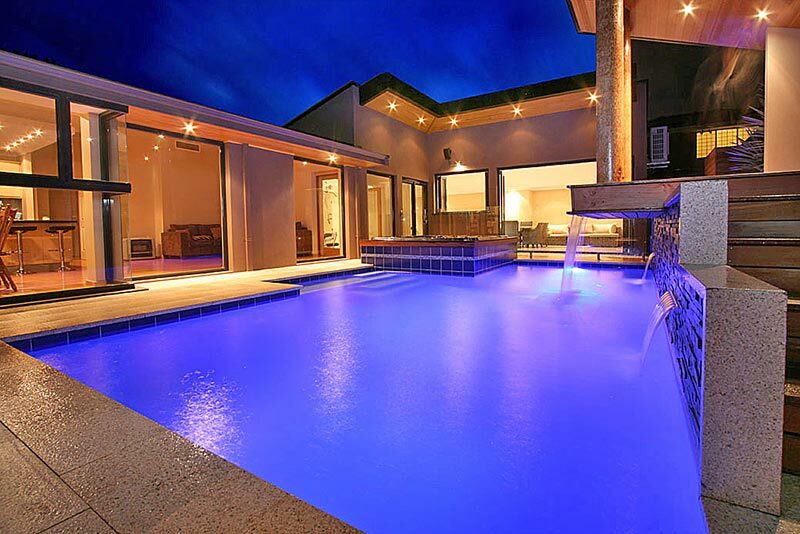 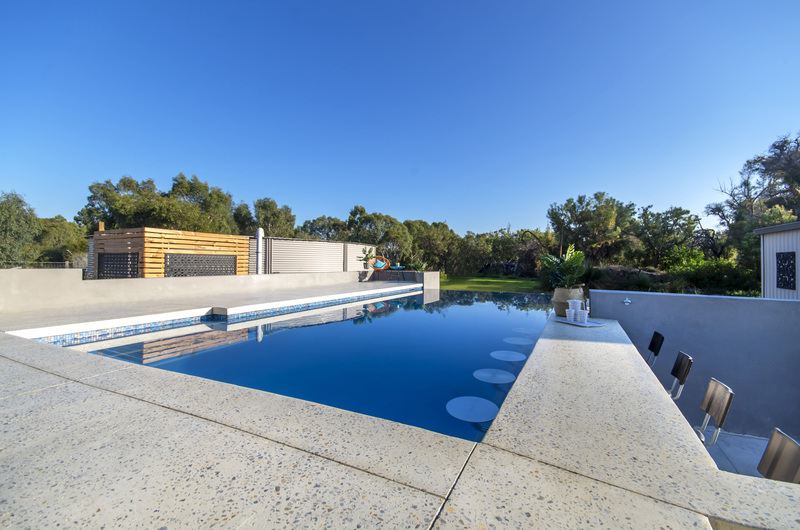 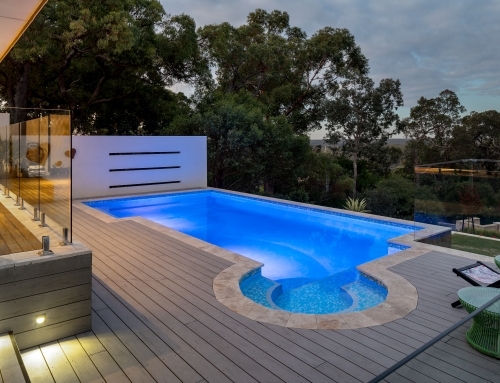 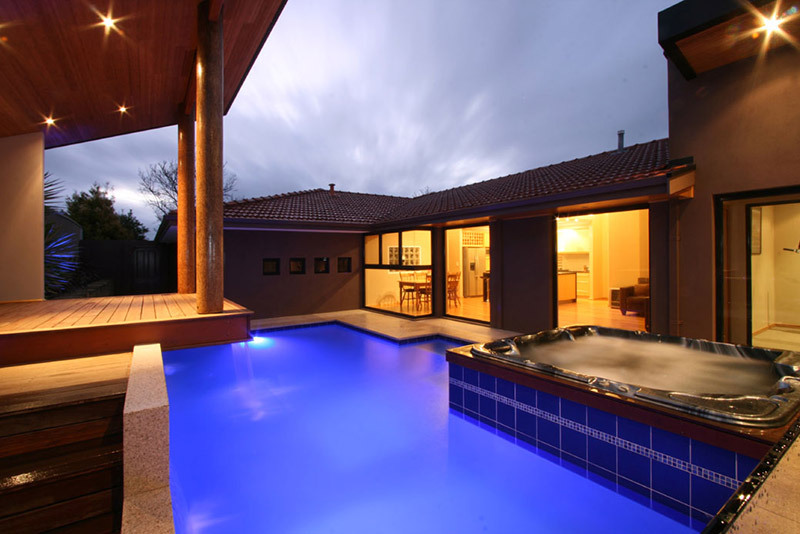 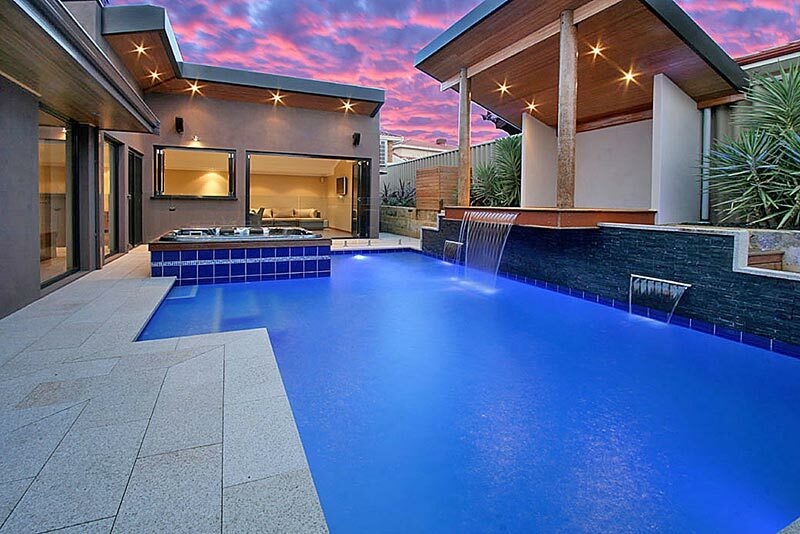 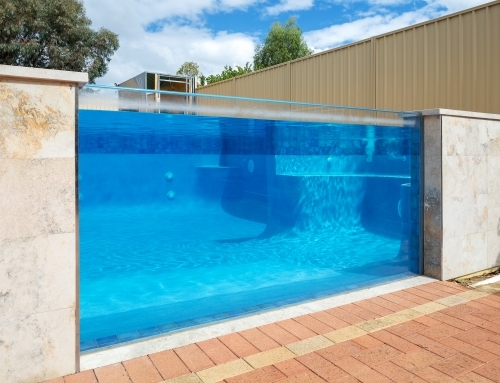 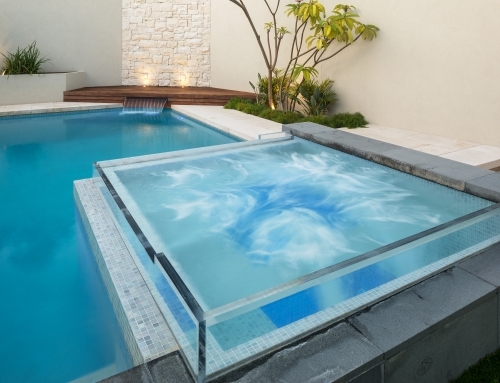 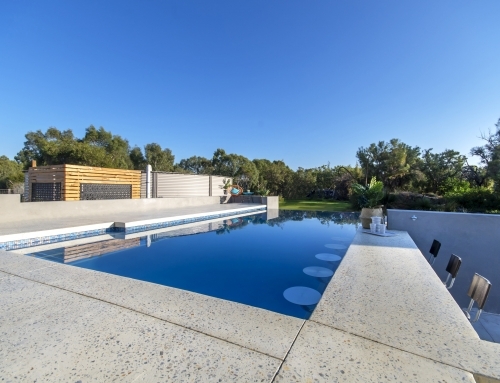 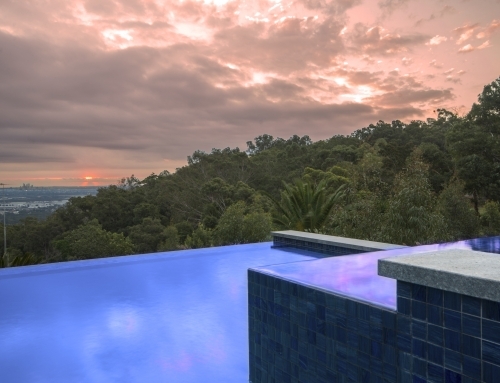 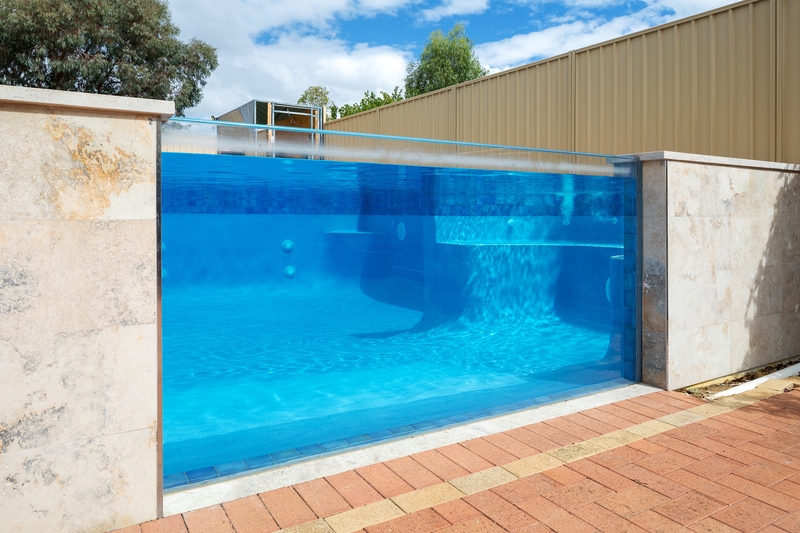 The pool was designed around the clients lifestyle and is an exciting edition to our portfolio.